Addressing the need for your home plumbing services can become a daunting task. At some point, you may even begin to feel like most of your free time is spent trying to secure another plumber to come in and take care of another plumbing issue. One of the most common service call requests any plumber gets is for clogs. The problem is that, over time, clogs become more frequent if you do not address the source of the clog in the first place. Pouring harsh chemical cleaning agents down the drain for a temporary fix will mean repeat problems. Smart homeowners know to look for a more permanent solution, which is where hydro jetting comes into the picture. Hydro jetting is the use of high pressured water to clear away debris, similar to how a power washer is used to remove dirt and algae from the exterior of your home. So how is this beneficial? This is an effective way to not just power away clogs but also clean out the pipes. Eliminating this buildup means less chance of another clog, at least any time soon. This process can make your pipes as good and as clean as new again. Hydro jetting is also an exceptional alternative to using harsh chemicals. These chemicals can actually damage your plumbing. Not to mention, using water instead of chemicals is a much more environmentally responsible approach to take. This approach will end up saving you money. While snaking a clog may cost even less, hydro jetting offers a more long term solution. The investment you make will help cut down on future problems and repairs which, in turn, will save you money. In other words, you are not just fixing an existing problem, you are addressing the need for preventative maintenance. 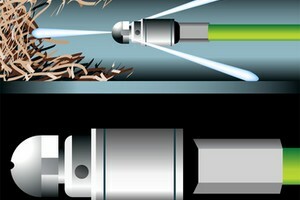 Taking care of your plumbing with hydro jetting is also a great way to keep things sanitary. Allowing blockage to occur means more than disrupting the clean water supply. It means backing up sewage. Avoid this mess and protect the health and well-being of your family by opting for hydro jetting. 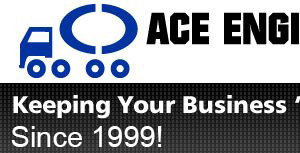 When you are in need of plumbing service in Broward or Miami-Dade, the only name that you need to know is Ace Engineering Inc. Our Miami drain cleaning specialists are dedicated to providing our clients with the best in quality service work. We don’t just want to meet your expectations, our goal is always to exceed them.